Encontré 5 Hoteles en . Seleccione la fecha de llegada y fechas de salida para ver los hoteles disponibles en . Sin informar las fechas, los precios con (*) son los precios medios de cada hotel y alrededor de una distancia de 30 km. Featuring free WiFi and a restaurant, Noor Al Najaf Hotel offers pet-friendly accommodation in An Najaf. Guests can enjoy the on-site restaurant. Every room at this hotel is air conditioned and is fitted with a flat-screen TV with satellite channels. All rooms have a private bathroom. For your comfort, you will find bath robes and slippers. Al Taif Hotel offers accommodation in An Najaf. Guests can enjoy the on-site restaurant. Free WiFi is featured throughout the property and free private parking is available on site. Every room at this hotel is air conditioned and has a TV with satellite channels. Certain units have a seating area for your convenience. You will find a coffee machine in the room. The rooms are equipped with a private bathroom with a hot tub and bath, with slippers provided. Offering a restaurant, Noor Al Abass Hotel is located in An Najaf. Free WiFi access is available. Each room here will provide you with a TV, air conditioning and a balcony. Complete with a refrigerator, the dining area also has an electric kettle and a dining table. Featuring a shower, private bathroom also comes with a hairdryer and free toiletries. Extras include a seating area. Other facilities offered at the property include luggage storage and an ironing service. 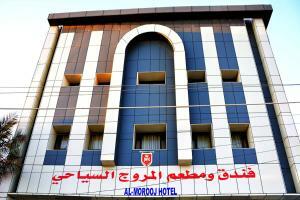 Featuring free WiFi throughout the property, Al Murrooj Hotel offers accommodation in the heart of Najaf. Free private parking is available on site. Each room comes with a flat-screen TV. Certain rooms feature a seating area where you can relax. Rooms include a private bathroom fitted with a bath. The hotel is located only 3 km from Al Najaf Airport and 3.5 km from Imam Ali Shrine.